Dracula (Udo Kier) experiences digestive problems in Blood for Dracula (1974)—he can drink only drink virgin blood. Sanguinarians, sometimes called “real vampires,” experience digestive issues of their own, with a number of theories attempting to explain the cause. Picture: Bryanston Distributing; Vague Visages. Late last year, BBC published an article discussing people who consume human blood to treat symptoms like fatigue, headaches, and excruciating stomach pains, as opposed to using more conventional forms of treatment. they have some problem with their digestive tract, which means they cannot absorb nutrients from usual foods – it is only when they are readily dissolved in blood that their bodies can access them. As I’ve gotten older, my digestion issues seem to have gotten worse and my need for blood has increased. Recently, I was not able to hold food in for a week (other than a rare steak on one night) because I had gone without my scheduled ‘drinking’. If given long enough, it can also start to affect mood, mental health, in addition to the fatigue. “There is likely a strong placebo effect, akin to ingesting bitter powders, brightly coloured liquids, or other substances that do not look or taste like conventional foods,” says Ganz. “This effect can be further enhanced if there is a ritual component associated with the ingestion, and if the individual feels a sense of some kind of exclusivity (such as drinking a very expensive and rare wine).” Combined with the fact that blood is highly nutritious, and a natural laxative, he thinks this may be why it offers some temporary relief for both the digestive and mental difficulties. The nutritive and the laxative qualities mentioned by Ganz, in particular, caught my attention because they touch on a personal theory of my own. For a while now, I’ve considered the possibility that sanguinarians have a pre-existing condition affecting their digestive system; their symptoms mirror my experience as someone who suffers from gluten and dairy intolerance—a discovery made after years searching for answers. My stomach issues started when I was 8 years old. I was sent for an ultrasound and barium X-ray and remember missing about fifteen days of school in grade four due to extreme stomach pain. The tests came up with nothing and the doctors could not pinpoint the problem. It was around this time my mum and I noticed my problems with dairy. It made me cough for hours and stuffed up my nose so I began to avoid it; back then milk alternatives did not exist. As a child, I was healthy and had no allergies. To this day I have never even had the flu and my visits to the doctor before I turned 20 could be counted on one hand. I did not have health problems until my early 20s when I had tonsillitis about six times in one year and ended up in the emergency room twice. Once a clinic prescribed me penicillin—and that is how I found out I was deathly allergic to it. I had surgery that same year to get my tonsils removed. Fast forward a few years, and I started having major sinus infections that lasted for eight weeks at a time. Antibiotics were the only cure, which worried me because the only one I can take is erythromycin—because I am allergic to other antibiotics. Eventually, my regular erythromycin pills stopped working and I was upgraded to the highest dose possible, costing about $5 per pill. The doctor told me they’re usually given to cancer patients. I knew I had to do something else, as it is dangerous for someone with an allergy to antibiotics to build a resistance because once the drug stops working, there’s nothing else left to take. I found out my extended medical covered a naturopath and booked an appointment. An immunoglobulin E (IgE) test measures the blood level of IgE, one of the five subclasses of antibodies. Antibodies are proteins made by the immune system that attack antigens, such as bacteria, viruses, and allergens. IgE antibodies are found in the lungs, skin, and mucous membranes. According to the naturopath, my diet was making me sick and the solution was to avoid certain foods. The top culprits in the results were: wheat, gluten, dairy, eggs, sugar, yeast, and shellfish. Samples from my IgE test results, dated Aug. 4, 2009. Picture: Erin Chapman. I followed the diet recommended for me for a year and ended up feeling a lot better; my sinuses cleared up and I was having less problems with my stomach. I was more conscious of what I was eating and noticed problems flared up when I consumed certain foods, especially dairy or gluten. 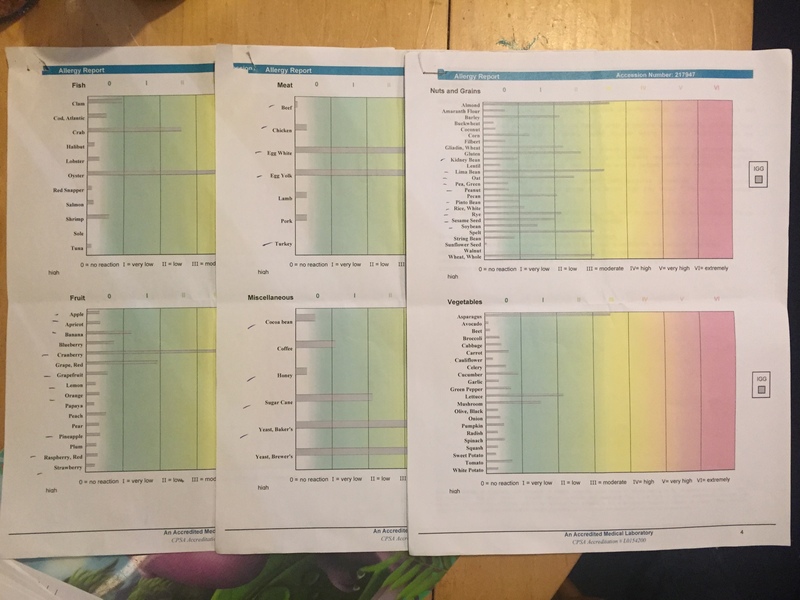 As an experiment I had the IgE tests done again six months later. The night before, I purposely ate portions of foods that had the highest immune response on my last test. The results showed the immune reactions had reduced, but the same foods stilled showed as problematic. This proved the diet kept the symptoms under control. 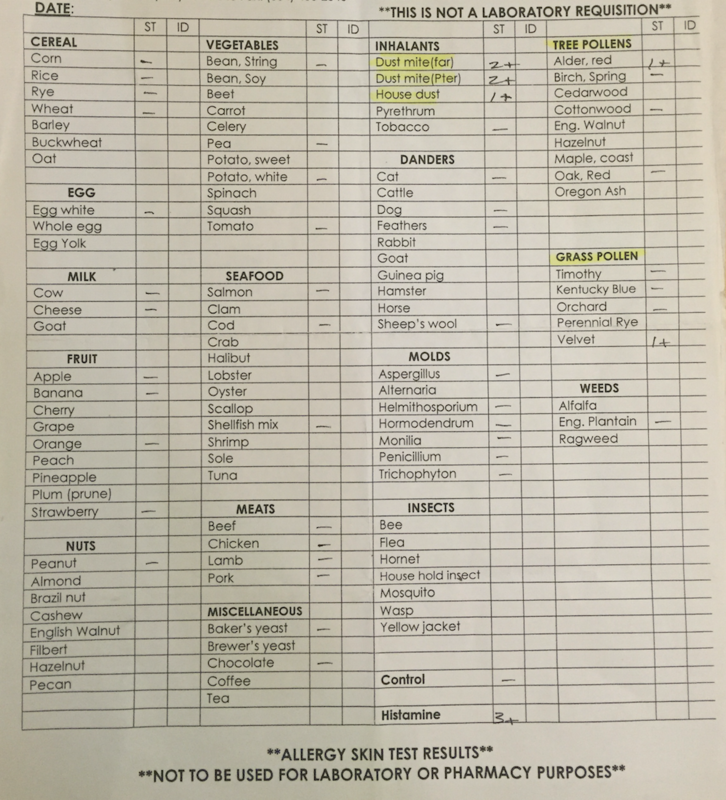 To get a more accurate confirmation on the foods I shouldn’t eat, I asked my family doctor to send to an allergy specialist. My mum has a history of extreme food allergies so he agreed to send me for allergy skin tests. Surprisingly, no foods showed up just dust, grass and pollen. Allergy skin test results from July 2011. Picture: Erin Chapman. The specialist also tested my immune system to see if that was the problem. He told me I had one of the strongest immune systems he had seen in a long time. Another dead end. But by this time I was noticing a trend. Through record keeping, I discovered I was more prone to sinus infections during my period. My doctor confirmed your immune system is lower during that time of the month. My next stop was a throat and nose specialist. He sent me for an MRI to determine if my nasal cavity was the problem and whether it was preventing normal draining. Turns out I have a slightly deviated septum in each side, but nothing warranting surgery. I was back to square one. In 2011, I was getting really bad sinus infections again. My boss at the time, recommended a Chinese herbalist who fixed his asthma. I was skeptical, but figured what did I have to lose? Again, I completed a questionnaire. They tested my body with a µ- Magnetic Resonance Analyzer. The tests showed the same intollerances the original IgE tests had named years before, so there had to be a correlation. µ- Magnetic Resonance Analyzer test results for July 25, 2011–Nov. 4, 2013. Picture: Erin Chapman. The recommended treatment involved avoiding the foods at first, but the key was fixing the body so it could tolerate the foods again with a temporarily restricted diet and supplements such as ginseng, vitamin Stress B12s, aloe, vitamin D, calcium, spirulina, Serrapeptase, probiotics, basil and digestive enzymes. Each time I go for an evaluation, my supplement list changes as my body heals. She explained that eighty-percent of the immune system stems from the digestive tract and if this is unhealthy your body suffers. She said the most important supplements for me are probiotics and digestive enzymes, especially if I have any dairy or wheat. She said dairy proteins are too large for my stomach and it can’t seem to digest them on its own. There had to be something to her approach, because I have not taken antibiotics in five years and when I do get sick, I only get a cold that lasts an average of five to ten days. My digestive problems only act up when I eat foods I’m meant to be avoiding, so my pain is now self-induced. So how does my medical history relate to sanguinarians? I think what I’ve learned on my own journey can be applied to the symptoms that people like Kinesia and Alexia experience. I understand the frustration of not having conclusive answers and having doctors tell me I’m fine. I have not been formally diagnosed with a specific condition, like Coeliac Disease, but getting to know how my body tolerates things has been vital to my treatment and it has all been through trial and error. I also wanted to know about the nutritional value of blood and if it could affect the condition of the digestive tract. I figured it was worth contacting Ganz to ask for his medical expertise. I just read the BBC article, “The people that drink human blood,” and wanted to reach out to you. I write for an online vampire magazine called Vamped and was wondering if you would be willing to answer some questions for me in regards to your statements in the article? I am working on a piece and would love to get your input. Thanks so much and look forward to connecting with you. Surprisingly, he replied twelve minutes later and agreed to answer my questions via email. The next day, I sent him a lengthy list of questions—which he also replied to on the same day. More on those shortly. But Ganz’s detailed answers seemed to lack appreciation for the personal nature of the sanguinarian experience, so Anthony suggested sending him a link to Alexia’s Sanguinarians.com article, “Sanguinarianism and Me,” which I sent to him on Oct. 26, 2015, asking him if he’d be willing to provide me with his thoughts on it, from a medical perspective. He agreed. The writer has a number of symptoms that do not neatly fit a medical category. The medical exams and tests are normal. The symptoms get better after drinking human blood (or steak). She says this is not a fetish. However, calling herself “The Countess” is either an attempt at humor or a fetish. The provocative photos emphasize the contradiction. What she is describing is real but not understandable as a simple nutritional deficiency or another well-defined medical illness. People with these or similar symptoms have not been systematically studied but I would suspect they are heterogeneous and not classifiable into a single illness. I would expect both physical components and psychological ones, similar to irritable bowel syndrome. It seems sanguinarians are trapped on the same kind of hamster wheel I was. 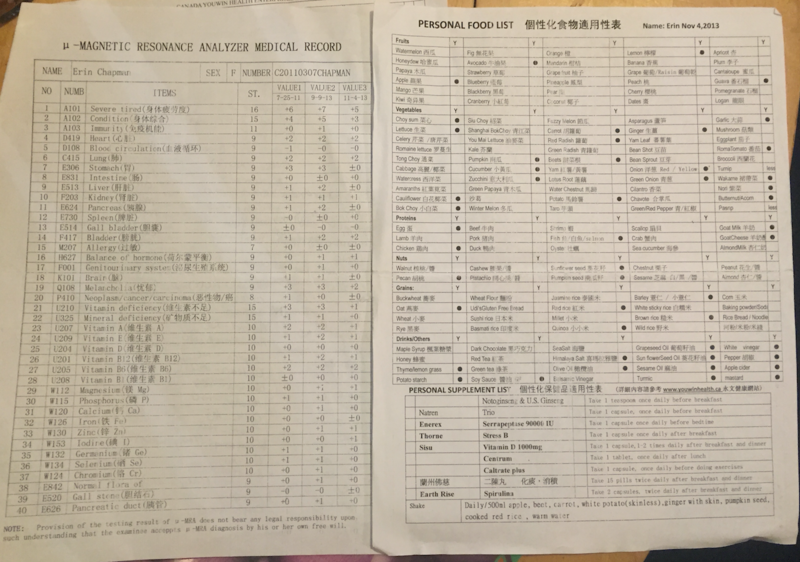 According to my medical doctors, I am healthy and yet I can get really sick if I am not careful with my diet. The major difference is their relief comes from consuming human blood as opposed to taking a lot of herbs and supplements. Either way, it gets me thinking: could sanguinarians benefit from the type of treatment I have used over the years by focusing on the health of my digestive system through supplements instead of blood? Perhaps. Could the nutritional content of blood be the key to their relief? The answer to that will follow soon in the form of my “interview” with Tomas Ganz—his answers to my questions submitted on Oct. 21, 2015. Stay tuned! “someone who perceives the need to drink blood”: Alexia, Facebook message to Anthony Hogg, Jan. 23, 2016. “I would go more than a week without a bowel movement”: Ibid. further details about digestive issues she experiences: Alexia, “Sanguinarism and Me,” Sanguinarians.com, Dec. 20, 2015, accessed Feb. 1, 2016, http://sanguinarians.com/2015/12/20/sanguinarianism-and-me/#more-178. archive.is link: https://archive.is/gNs35. get some IgE blood tests done: The Nemours Foundation, “Blood Test: Immunoglobulin E (IgE),” Kid’s Health, reviewed by Yamini Durami, Sept. 2014, accessed Feb. 1, 2016, http://kidshealth.org/parent/system/medical/test_immunoglobulin_e.html. archive.is link: https://archive.is/QZTn0. “Hi Tomas [. . .] I just read the BBC article”: Erin Chapman, e-mail message to Tomas Ganz, Oct. 21, 2015. “The writer has a number of symptoms that do not neatly fit a medical category”: Tomas Ganz, e-mail message to author, Oct. 26, 2015. Previous article Which Year Was the Witch/Vampire Poem, ‘The Old Woman of Berkeley,’ Published?